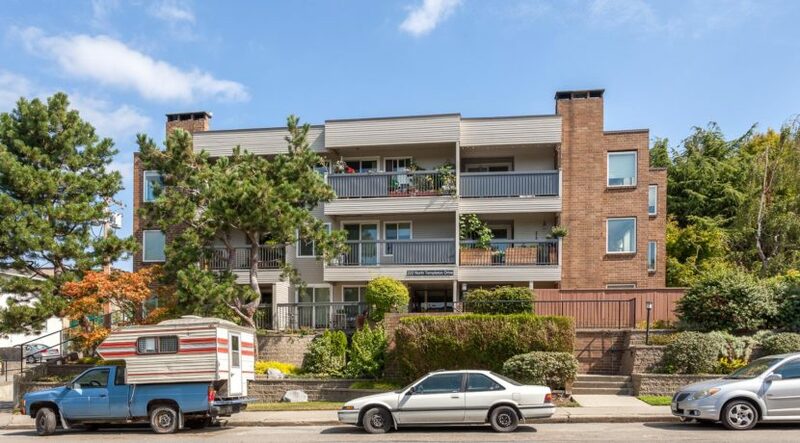 Large, bright & spacious top-floor 1 bedroom suite in the heart of Hastings Sunrise! South facing & overlooking a lovely tree-lined street, it almost feels like your own private tree house. Efficient floor plan with opening skylight in the dining room gives the space an airy feel. Home comes complete with good in suite storage, covered balcony, storage locker & 1 parking spot. This Landmark building allows 2 pets & benefits from a proactive strata with new roof (1 year) & windows (2 years). Imagine a lifestyle minutes away from downtown work & North Shore play in this up & coming neighbourhood. Parks, transit, shopping, cafes & micro-breweries all within a short stroll. All measurements approx. PRIMARY: Apart from having both English and French Immersion programs, Hastings is also a community school with a diverse population of ESL learners, and partnerships with many other community agencies. Hastings has 670 students in Kindergarten to Grade Seven – 230 in French Immersion and 440 in English. Hastings School has a strong academic focus. Literacy continues as a focus with Reading, Mathematics and Social Studies. Hastings has been designated an inner city project school and receives additional support staff as a result of that designation. Hastings attempts to be a safe and caring school that places the highest priority on the needs of our students and their families.